Nevertheless, Ms. Torianyk says the CSR sector’s evolution in Ukraine is not fast enough. “Despite the fact that rising numbers of companies are engaging in CSR, there is clearly still a general lack of awareness about what is happening in the sector,” she explains. “A recent conference on the subject in Kyiv spoke volumes about growing Ukrainian business interest in CSR activities. At the same time, members of the conference jury expressed genuine surprise to learn of so many impressive CSR initiatives in Ukraine”. Viktoriia sees a number of parallel factors driving the current evolution of CSR culture in Ukraine. She believes the spirit of volunteerism that has emerged in Ukraine since 2014 is very much part of this process, while the growing presence of global companies on the Ukrainian market has also led to the introduction of internationally established corporate practices such as CSR programs. 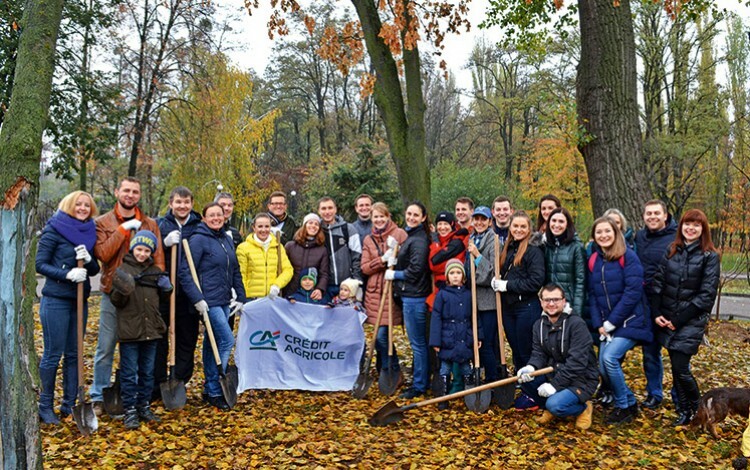 This has certainly proven the case at Credit Agricole in Ukraine, where a global commitment to CSR has meshed well with an existing local trend favoring company teambuilding activities. In line with the strong CSR commitments of France-based Credit Agricole Group, the bank’s current CSR program in Ukraine was launched in 2016. The program currently consists of around 15 initiatives per year. The Credit Agricole CSR strategy in Ukraine focuses on four areas: care for employees, charity and volunteering, care for the environment, and sponsorship of business and culture events. 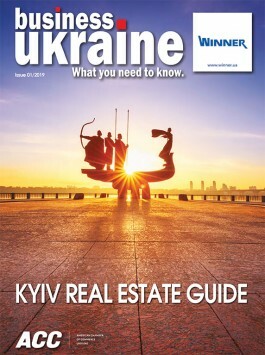 Of all the CSR activities undertaken by Credit Agricole in Ukraine, the most eye-catching is probably the “Trees for Car Loans” program, which reflects the leading position of the bank in the Ukrainian car loans market, while also dovetailing well with the current enthusiasm for environmentally informed initiatives. “We calculated that in 2016, we provided loans for the equivalent of 13 cars per day, while in 2017 this figure rose to over 20 cars per day,” comments Viktoriia. “As well as contributing to the increasing number of cars on the roads in Ukraine, we wanted to make a contribution to protecting the environment.” The result was “Trees for Car Loans”, which sees bank employees volunteer to plant trees in Kyiv. The first stage of the project took place in 2016 and saw 50 fir trees planted in Shevchenko Park close to the bank’s downtown Kyiv central offices. The same initiative took place in 2017. It has since grown considerably in scale, with the most recent massing planting involving 12,000 baby firs in Kyiv’s Holosiyivskiy Park in April 2018.